Presented paper on National Conference on Consumer Protection held at Dr Ambedkar Law University on the topic, ‘What is real consumer Protection? Presented paper on ‘Polygamy in Islam and its legal perspectives’ on National Conference on Child Rights held at Tamilnadu Dr Ambedkar Law University. Presented paper on the topic ‘Combating ISIS’ at inaugural Volume of Elenchus Law Review held at Government Law College, Thrissur. Attended International Conference on AGROBIODIVERSITY and 20 YEARS OF WTO on 28-30 January 2015 held at The Tamilnadu Dr.Ambedkar Law University. Attended U.G.C. Sponsored Two Day National Seminar On CHILD RIGHTS – ISSUES AND CHALLENGES 29th & 30th September 2014 Organized by The Tamil Nadu Dr. Ambedkar Law University. Participated in various Moot Court Competitions. First Rank in M.L Dissertation on the topic ‘Islamic Humanitarian Jurisprudence’. Ilambirai,R.C, MVVSKHK Sankeerth, Nithin Ramayanam, C.A Uday Kiran Varma, “Implementation of Multiport Zeta CUK Converter”, Journal of Advanced Research in Dynamic and Control Systems, Vol 10, 7-Special Issue, 2018, Pages1177-1187. R.C.Ilambirai,R.Sridhar, Mayank Verma, JoydeepPegu, S.Vijayalakshmi, C.Anuradha, “Design of Mechanical Arm for Industrial Applications with Record and Play Feature”, Journal of Advanced Research in Dynamic and Control Systems, Vol 10, 10-Special Issue, 2018, Pages1027-1034. S.Vijayalakshmi, C.Anuradha, T.Hima Varsha Tharaga, R.C.Ilambirai, “Performance Analysis of Interline Dynamic Voltage Restorer using Cascaded H-Bridge Multilevel Inverter during Voltage Sag and Swell”, Journal of Advanced Research in Dynamic and Control Systems, Vol 10, 10-Special Issue, 2018, Pages1094-1099. Ilambirai, R.C., Dash.S.S., Rayaguru.N.K,”Implementation of a low-cost ac-dc converter for high and low power applications”, International Journal of Engineering and Technology(UAE)Volume 7, Issue 1.2, January 2018, Pages 77-80. Anuradha.C, Chellammal.N., Vijayalakshmi.S., Ilambirai.R.C.,”Steady-state analysis of non-isolated single-input multi-output SEPIC converter for stand-alone applications”, International Journal of Power Electronics and Drive SystemsVolume 9, Issue 1, March 2018, Pages 260-268. R.C.Ilambirai, CH Siva Govindulu, K Vijay Kumar, “Estimation of speed for Sensorless Vector controlled IPMSM Drive using MRAS Technique”, International Journal of Applied Engineering Research, Research India Publications, ISSN 0973-4562 Vol. 10 No.44 , pp30938-30942,2015. R.C.Ilambirai, G.Vijay Kumar, Ch. Siva Govindulu, ”Implementation of a position sensorless PMSM drive based on Sliding - mode Observer”, International Journal of Applied Engineering Research, Research India Publications, ISSN 0973-4562 Vol.10 No.70, pp-154-164, 2015. R.C.Ilambirai , Rajesh Boga, ”Implementation of a low-cost Resonant Boost Converter Connected Photo Voltaic System”, Advanced Materials Research, Trans Tech Publications, Switzerland, Vol. 768 (2013) pp 80-83, 2013. Chellammal.N., Ilambirai.R.C., Sekhardash.S., Rahul, K.V.,”Integration of renewable energy resources in off GRID system using three port zeta converter”, IEEE International Conference on Renewable Energy Research and Applications, ICRERA 2016,21 March 2017. R.C. Ilambirai, Karthik Krishna R Nandhakumar N and Biplab Dehingia, ”An Ultra Step –Up DC - DC converter for High Voltage Application”, International Journal of Power Control and Computation(IJPCSC) , Vol 7. No.2 – 2015 Pp.133-142. R.C. Ilambirai, J.Srivigneshwaran, “Efficient control of dc motor by implementing Bridgeless Zeta Converter associated Photovoltaic Cell:, International Journal of Power Control and Computation(IJPCSC) , Vol 5, Pp : 203-209, 2014. 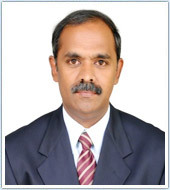 Assistant professor, Dept of EEE, SRM Institute of Science and Technology (formerly known as SRM University), Kattankulathur, from June 2007 to till date. 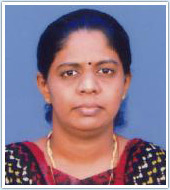 Lecturer, Department of EEE, Mailam Engineering College, Anna University Affiliated, Villupuram from June 2004 - May 2007. Affiliation: Department of Pharmaceutical Chemistry, SRM College of Pharmacy SRM Institute of Science and Technology (formerly known as SRM University), Kattankulathur, Kancheepuram. QSAR studies on heterocyclic and non-heterocyclic entities as anti-HIV agents. Solid/Lipid Nanoparticles in the development of new drug delivery system. Customer Relationship Management in Pharma Industry. Development and evaluation of verapamil HCL floating matrix tablets based on gas forming agent”, Journal of advanced pharmaceutical sciences, Jan 2011, Vol(1)1, 13-21. Indhumathi D*, Punith Rajashekar, “Formulation Design and Optimization of Novel Fast Disintegrating Tablets of Atenolol using Super Disintegrants” International journal of pharmaceutical sciences review and research, Vol 23(2), Nov – Dec 2013; 18-22. Indhumathi D*, Mastan Vali Sheik, Priyadharshini N, Damodharan N, “Formulation and Evaluation Bilayer Tablet of conventional release paracetamol and modified release Diclofenac sodium” Indian Journal of Research in Pharmacy and Biotechnology , September – October 2013, Page 676. D.Indhumathi, K.Chandrasena, “Corporate social responsibility in India-An overview” Strategic management approach: oppurtunities and challenges for indian corporates, Vol 1/Issue 1, 2011. “Formulation and evaluation of orodissolving tablet of fluoxetine using superdisintegrants”, International journal of pharma and biosciences, Jan -2011, Vol2(1), 833. “Design and optimization of orodissolving tablet of antidepressant drug by superdisintegrants addition method” International journal of pharmaceutical sciences review and research, May 2010, Vol2(2), 1. “Pharmacognostic preliminary, phytochemical and anti-microbial activity on the whole plant of sarcostemma secomone (L) Bennet”; International journal of pharmaceutical sciences review and research, March-2010, Vol1(2), 49 . Presented a paper on “A Study of emotional intelligence and facial emotion labeling in first degree relatives of patients with bipolar disorder”, in the 36th annual conference of eastern zonal branch of IPS (CEZIPS-2010) on child and adolescent mental health held on 8th -9th of October, 2010 at central institute of psychiatry, Ranchi. Presented a paper on “A Study of emotional intelligence and facial emotion labeling in first degree relatives of patients with bipolar disorder”, in the 9th annual state IPS conference (ASICON-2010) on legal aspects of mental health held on 19th of September, 2010 at new academic block, RINPAS, Ranchi. Presented a paper on “Comparison of Supervisory Performance in traditional and modern industries” in the national seminar on psychology in global context on 4th and 5th October 2005. Organized by directorate of distance education psychology wing, Annamalai University. Presented a paper on “Methods of Life Skills and Targeting Life Skills (TLS) Model” in the students seminar on examination and evaluation reforms held at PSG college of arts and science, Coimbatore, on 9th march 2005. Presented a paper on “Effects of Crystalline Silica as Filler on the Performance of Concrete” in National Conference titled “Recent Advances in Structural Engineering”, at Dr.Mahalingam college of Engineering and Technology. Presented a paper on “Effects of Filler on the Performance of Concrete – An Overview”in the National Conference titled “Recent Trends in Civil Engineering” at Velammal Engineering College, Chennai. Effects of sustainable materials as partial replacement of aggregates in cement concrete. Studying the effects of fillers on the performance of concrete. 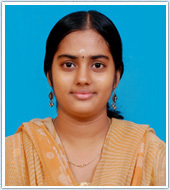 Working as Assistant Professor in Department of Civil Engineering since June 2012. Handled Advanced construction techniques for M.Tech and B.Tech courses. Handled Elements of Building Material and Science for I year B.Tech course. Handled construction planning and management for IV year B.Tech course. Organized paper presentation in Aarush 2012 in department of Civil Engineering. Acted as a committee member in Exam cell during 2013 and 2014. Won Merit of certificate for active participation in all activities in B.E Civil Engineering during 2009. Awarded Academic Proficiency Prize for securing in the I &II semester and III & IV semester during College day in the year 2011 and 2012. Winner of RASHTRAPATHI AWARD (President Award) in Guide. Winner of RAJYAPURASKAR AWARD (Governor Award) in Guide. Affiliation: Department of Electronics and Instrumentation Engineering, Kattankulathur Campus, SRM Institute of Science and Technology (formerly known as SRM University). With Sidharth Katyal, Rahul Singh Rathore, Satyam Singh “Single Stage Reconfigurable Inverter Topology for a Solar Powered AC/DC System” International Journal of Pure and Applied Mathematics, Volume 118 No. 20 2018, 3027-3032 (Scopus Indexed). With Y.Jeyashree, P.Blessy Hepsiba, A.Dominic Savio, Y.Sukhi “Solar Energy Harvesting using Hybrid Photovoltaic” Global Journal of Pure and Applied Mathematics. , Volume 13, Number 9 (2017), pp. 5935-5944 (Scopus Indexed). with, Y. Jeyashree, and R. Bakiya Lakshmi, “Design and Comparative Analysis of Thin Plate Micro Thermo Electric Generators for Energy Harvesting Application’” International Journal of Control Theory and Applications, 9(37) 2016, pp. 845-852( Scopus Indexed). With R.Sasikala, A.Asuntha, “Detection and prediction of seizures using a wrist-based wearable platform”, Journal of Chemical and Pharmaceutical Sciences, Volume 9 Issue 4, October 2016. ( Scopus Indexed). With A.Asuntha, A.Brindhs, “ Lung cancer detection using SVM algorithm and optimization techniques”, Journal of Chemical and Pharmaceutical Sciences, Volume 9 Issue 4, October 2016( Scopus Indexed). Indirani Sidharth Katyal, Rahul Singh Rathore, Satyam Singh “Single Stage Reconfigurable Inverter Topology for a Solar Powered AC/DC System”, in National conference on Industry 4.0(silicon-18), Chennai, Apr 2018. Technical Assistant instrumentation & control Engineering SRM Institute of Science and Technology (formerly known as SRM University) from 1998 to 2009. Technical Assistant in Elecomo Electronics Chennai from 1995 to 1997. Technical Assistant in Veneus Electronics Thiruthuraippondi from 1992 to 1995. Online course cloud computing ” in NPTEL-IIT in 2018. Online course on “Patent Drafting for Beginners” in NPTEL-IIT in 2018. Online course on “Introduction to Internet of Things” in NPTEL-IIT in 2018. Online course on “Research Writing ” in NPTEL-IIT in 2018. Online course on “(Industrial Instrumentation” in NPTEL-IIT in 2018. Online course on “Basic of Electrical Technology” in Alison,2014. Online course on “ Diploma Electrical studies” in Alison,2014. Workshop on “Real Time System Simulation and Implementation Tools for Power Engineering Applications” in SRM Institute of Science & Technology, Chennai, Dec 2017.
International Workshop on “Advanced Functional material and Devices”, in SRM IST, Nov.2017. FDP on “Exploring Patent Filing Aspects”, in SRM-IST, Dec 2017. FDP on “Question Paper Settings: Procedures and Practices”, in SRM-IST, Nov 2017. Two days National Workshop on “Application of Mems & Instrumentation Engg”, in SRM IST, August 2015. IET Workshop on “ Paper publishing in SRM University, August 2016. Four Days Workshop on “Utilization Techniques of renewable energy sources “ in NIT Trichy. June 2016. Two Days Workshop on RF and inertial Mems with hands-on training in Intellisuite MEMS software in VIT Chennai, March 2015. Workshop on “MATLAB Programming”, in SRM IST, Mar 2015. Two days UGC sponsored short-term course on new material with characteristics their characterization and application in Anna university Chennai., Oct 2015. Two Workshop on Application of Computational intelligence using MATLAB in SRM UNIVERSITY, March .2014.
International Conference on Computing Techniques, Embedded systems & Drives in PPG Institute of Technology Coimbatore, March 2012. Antioxidant and Anti-skin cancer potential of a Ketocarotenoid pigment Astaxanthin isolated from a green microalga Haematococcus pluvialis Flotow. International Journal of Scientific & Engineering Research, Volume 7, Issue 6, June (2016). Collection, Isolation and Identification of Haematococcus pluvialis flotow from high altitude region of Pithoragarh district, Uttarkhand, India. Golden Research Thoughts, Volume-3, Issue-9, March (2014). Optimization of media for vegetative stage of Haematococcus pluvialis flotow, collected from Pithoragarh district, Uttarakhand, India. Review of research, vol. 3, issue. 4, Jan. (2014). Pigment Producing capacity of saline tolerant microalgae Chaetoceros calictrans, Chlorella salina, Isochrysis galbana, Tetraselmis gracilis and its antimicrobial activity: An Comparative Study. J. Microbiol. Biotech. Res., (2013), 3 (1):1-7. Growth kinetics of the algae Scenedesmus sp., and Chlorella sp. and its Nanoparticle synthesis, collected from southern coasts of Chennai, India. J. Microbiol. Biotech. Res., (2013), 3 (5):12-17. A sustained release of tablet granules associated with ZnS nanocrystals using tamarind seed polysaccharide. Journal of Applied Pharmaceutical Science Vol. 3 (4 Suppl 1), pp. S44-S47, May, (2013). Collection, Isolation, Identification, and Biosynthesis of Silver Nanoparticles using microalga Chlorella pyrenoidosa. Nanomechanics Science and Technology. An International Journal 3(4), 1–9 (2012). Study of starch degrading bacteria from kitchen waste soil in the production of Amylase by using paddy straw, Recent Research in Science and Technology (2009). Active Participant of the Loyola Outreach Program during the year 2005-06 and 2007 – 09 and won Best Volunteer award. Participant International coastal cleanup day 2007 organized by Indian Coast Guard, UNEP, SACEP, NIOT, Loyola College- 16th September 2007. Participant International coastal cleanup day 2006 organized by Indian Coast Guard, UNEP, SACEP, NIOT, Loyola College- 16th September 2006 . Member of NSS both in Schoolings and College. Infanta Mary Priya.I, B.K.Vinayagam, M.R.Stalin John, M.Sabarishwaran “ Mechanical Characterization of E-Glass woven fabric composite: An experimental study”, Journal of Chemical and Pharameceutical sciences. Infanta Mary Priya, B.K.Vinayagam, M.R.Stalin John, “Design and fabrication of Clone Segway Personal Transporter”, Journal of Chemical and Pharamaceutical sciences. Short term course on “FEM 2010” 22-24th Dec 2010.